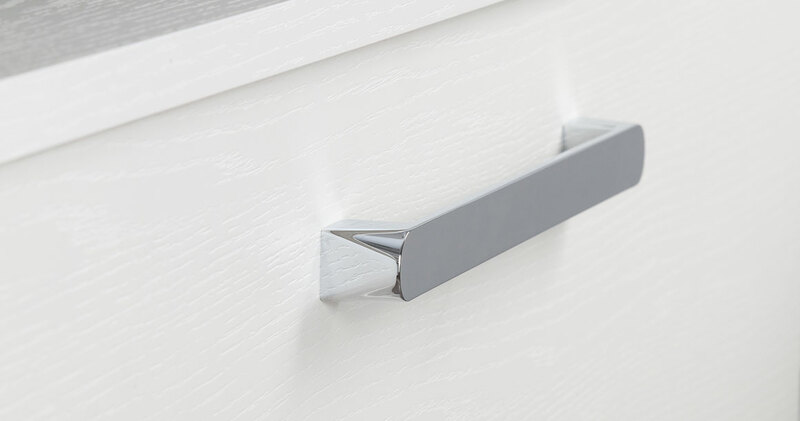 The Geometric handle adapts to each piece of furniture with a distinct finish and with the same objective: to contribute style. Its design evolves due to the fact that each end begins in a rounded form and terminates in a square shaped base; this lends it a certain dynamism and added sophistication. 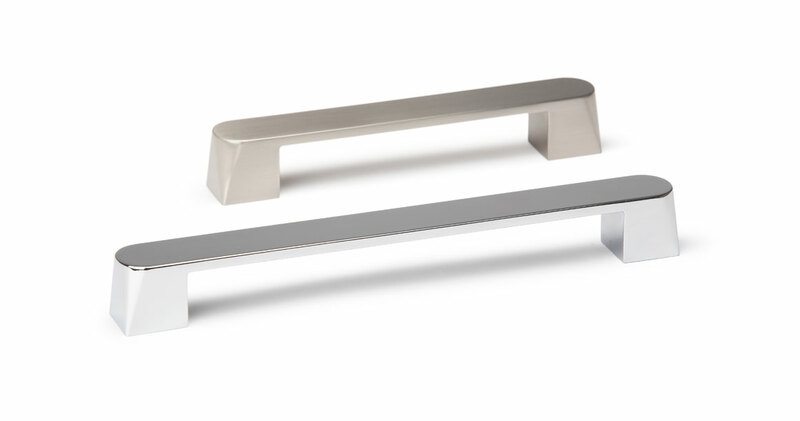 Available in a finish with a stainless steel effect or glossy chrome and in 3 sizes. Manufactured in zamak.